New Trading Contest! $5,000 In Prizes! 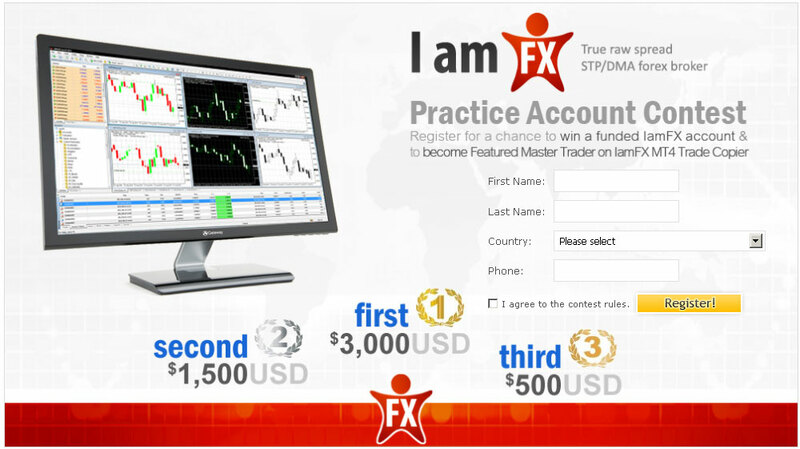 Contest winners are also eligible to become Featured Master Traders on IamFX MT4 Trade Copier. Competitors will start with a $50,000 balance and 1:200 leverage. Posted in Myfxbook Updates | Comments Off on New Trading Contest! $5,000 In Prizes! We’ve been getting a lot of emails from concerned members regarding the sponsor of the contest (Commexfx), who notified us of several worrying reviews on other websites (which we weren’t aware of). After a long discussion, we’ve taken the unusual step of cancelling a contest. We would like to thank all of the members who notified us with this situation and would like to apologize for the inconvenience. On the same note, a new contest will be announced next month, which you’ll be able to register for. You are currently browsing the The Myfxbook Blog blog archives for August, 2012.